The Premier Soccer League (PSL) has spoken against spectators disrupting an Absa Premiership game between Bloemfontein Celtic and Cape Town City on Sunday afternoon. 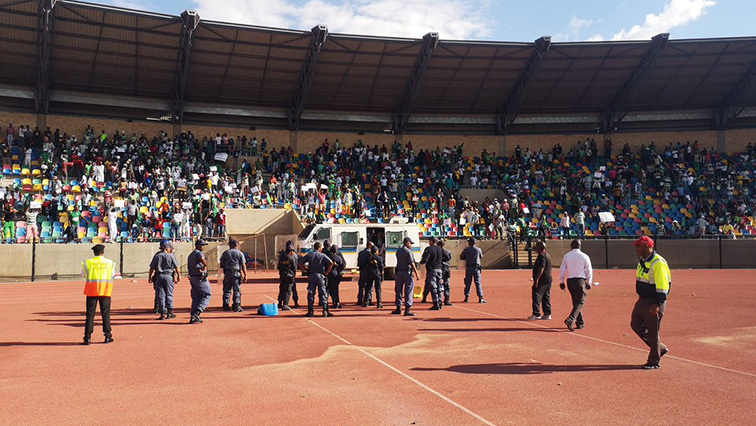 Eight people have arrested following the disruption at the Dr Petrus Molemela Stadium in Bloemfontein. One police officer and a supporter were wounded during the scuffle with the unruly mob. Chaos erupted 23 minutes into the game. Violent supporters continued to barricade nearby roads with burning tyres and rocks. Angry Celtic supporters want club chairperson Max Tshabalala out of the beleaguered club. Celtic CEO Khumbulani Konco has condemned what he calls acts of hooliganism. Meanwhile, the abandoned Absa Premiership encounter between Bloemfontein Celtic and Cape Town City will be replayed not later than Wednesday at a neutral venue. Cape Town City coach Benni McCarthy says he’s deeply disappointed with Celtic supporters. The post PSL lambastes unruly supporters at Celtic game appeared first on SABC News – Breaking news, special reports, world, business, sport coverage of all South African current events. Africa's news leader..